I still remember getting the shock of my life when I arrived at Asia’s southernmost tip, or as some will argue, second southernmost tip. The place looked barren and when I saw a bauxite site, it struck me that this was exactly what I learnt back in geography class – there’s plenty of bauxite in Teluk Ramunia but it is still nothing compared to what we are seeing now in Kuantan! I had no idea what I was going into. A quick Altavista (there was no Google back then) search had given me just the information that the company is in the business of jacket fabrication. I was pretty sure the company wasn’t doing a clothing line. 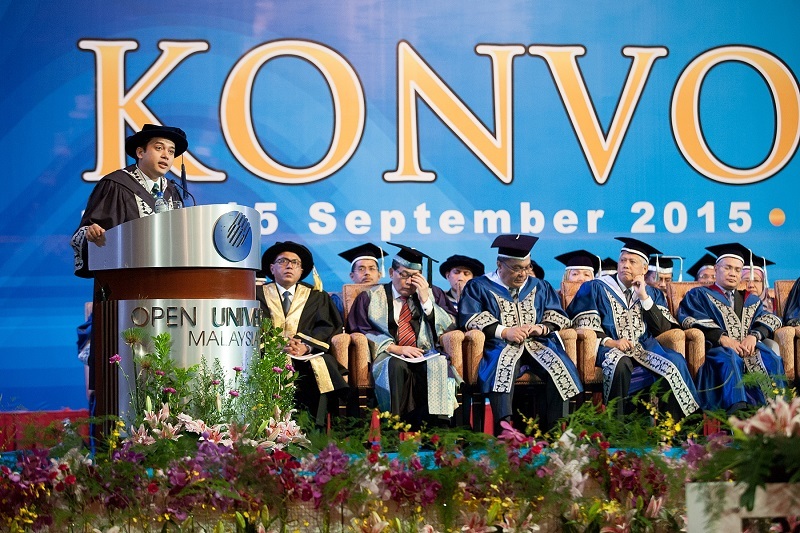 At the time, I was in my final semester at Universiti Teknologi Malaysia for my Bachelor’s degree. At the beginning of that semester, I had started looking for a job. I started early because I was worried I would be unemployed after graduation. During semester breaks and sometimes even when uni was in session, I worked part time with various employers hoping to lessen the burden on my parents. Being the eldest of 10 children, that would be the least I could do. The interview went well and I got the job as a management trainee with Sime Sembcorp Engineering, a leading fabricator of offshore platforms. Taking the job shocked many of my friends considering I did my internship with IBM and everybody thought I was going to be a computer whiz. At 19, I participated in an open source exhibition and hung out with IT savvy professionals. No one expected me to be in Oil and Gas. I guess I didn’t want to end up servicing computers and wanted to be in a more niche industry. So after my final exam, I started my first job in the Oil and Gas industry. I spent two long years on an extremely steep learning curve in various disciplines from engineering, planning, safety, heavy lifting, construction and most importantly, project management. I would say that one of the most challenging tasks of the job was supervising colleagues who had more than 15 years of experience in the field. I was fresh out of college and it was probably the first time I saw the worth of a degree. Suffice to say, I was not the most popular bloke in Teluk Rumania. MUST READ: A barometer on Malaysia's healthcare system: Are we doomed to fail? 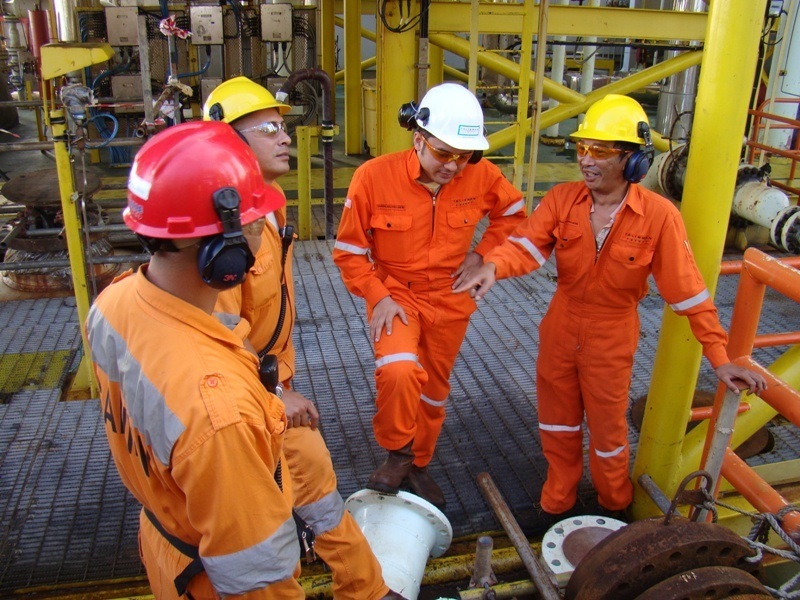 There were monthly expeditions to Batam, Indonesia to expedite delivery of plates and tubular; and a trip to Germany, Amsterdam and France to expedite structural steel and electrical cables for a project we were tasked with. I was also fortunate to be entrusted by my colleagues as a tuition teacher to their little ones – teaching Maths, Science and English in the small village of Teluk Ramunia after office hours. On 10 August 2004, I saw the biggest pair of dark brown eyes looking back at me. I smiled as I recited the Azan in my daughter’s ears. An hour later, Petronas Carigali called me for an interview. I was about to walk out. Apparently the manpower agency included all my experience even after SPM when I was writing a weekly column for the Malay Mail and doing the website for Hijau Inovasi. They even listed out all my part-time jobs in university. Nonetheless, I wanted to prove my worth and assail all doubts. I got the job as a Senior Project Controller through contractual employment. Immediately after singing Leaving On A Jet Plane on my HSE day, I was hitting the road again. Thank you, Sime Sembcorp. PETRONAS here I come! The rest is history. I now belong in oil and gas. 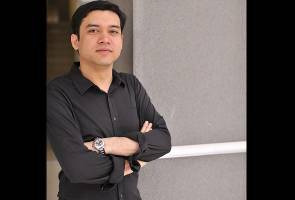 I spent two years with Carigali doing Conceptual and Front End Engineering Design including Fabrication for the Abu Cluster project before joining Talisman Malaysia. Talisman made me an offer I couldn’t refuse. An overseas assignment – a whole new world of experience. I picked up Vietnamese, learnt real people management skills and did my best for two years in Vung Tau, Vietnam. The Vietnamese are different – they have strong character and don’t easily admit their weaknesses. After completing my stint in Vietnam, I spent another two years working offshore for Installation, Hook-Up and Commissioning in Malaysia-Vietnam borders. The years offshore were tough – I worked hard in the day and studied at night for my Master’s degree in project management. Back to shore, I was sent to Kemaman as Talisman’s sole company representative to oversee three fabrication yards, one in KSB, one in Teluk Kemang and the third, a yard belonging to EPIC. Here, I strengthened my management and supervision skills. I believe in building a strong relationship with the team. Team building is crucial in executing any plan. By New Year’s Eve in 2011, I was finally called back to the KL office for project development coordination work. Now, it is interaction between the sub-surface, drilling and the operations and intensive meets with the senior management and also the Calgary office. I have now completed my upstream oil and gas cycle, covering all its phases. Four years in opportunity evaluation, project planning and development activities while completing my doctorate part-time. A doctorate in business administration would be crucial to enter the corporate world. I needed a formal education to force myself to learn business and economy. The years as a tuition teacher providing free education in Teluk Ramunia led me to lead an education volunteer organisation called Teach For The Needs (TFTN) in 2013. At its peak, there were 1,500 volunteers serving 20 orphanages. My corporate experience was fully utilised to help structure the organisation and its day to day operations. The leadership baton has been handed to younger leaders and it is now a well-known name in the civil society organisations. Together with other concerned citizens, I had also co-founded an economic think tank called BLINDSPOT. One can say the term signifies the many things we missed in the quest for economic success. We raised issues of Inequality and how we can improve to reduce the gap for a better Malaysia. 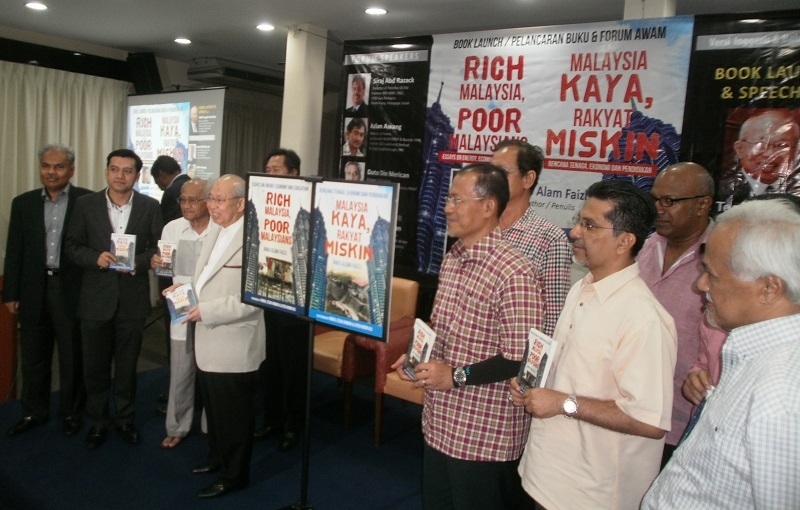 Despite my punishing work schedule, I had wanted to write my thoughts on Malaysia and this I did through my book Rich Malaysia, Poor Malaysians published by Gerakbudaya in 2014. I spent 10 good years – mostly under the blazing sun, and then some, with Talisman. Now, I’m with Eversendai in a senior management role in charge of Business Development and Special Projects including an Oil and Gas setup. Eversendai is a true Malaysian success story. The founder is a living inspiration. Here, a new world awaits, where the organisation is a world leading heavy steel specialist and is in the construction of high-rise buildings, infrastructure and power plants. The PETRONAS Twin Towers and the Burj Khalifa are among its list of accomplishments. It feels like a long, tumultuous and fruitful journey. I am fortunate to have made it this far and I hope to carve out more illustrious years ahead. Yet, despite all the “achievements”, I strongly believe that you have to give back to society and that one can contribute in many ways. Recently, the Malaysian Government through the Ministry of Human Resource appointed me as an Oil and Gas Industry Expert. I hope to contribute so much more to, and through, the industry.